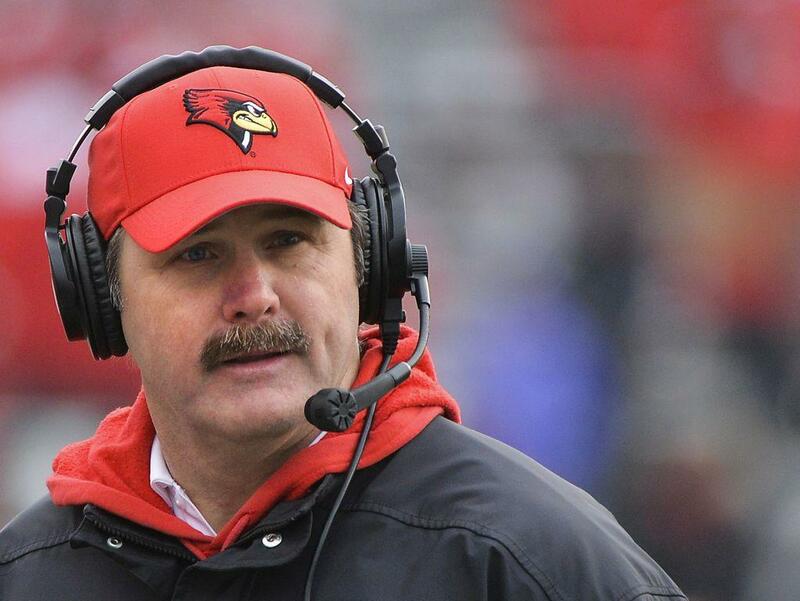 The Brock Spack Era has been the most successful in Illinois State football history, something Redbird fans want to see continue. Spack's ISU teams have participated in the FCS playoffs four of the past five seasons, including a school-record three straight appearances. Each successful year seems to bring more rumors of Spack's departure to an FBS program. Yet, the Rockford native and former Purdue defensive coordinator is back on the ISU sideline for his ninth spring in Normal. "He's taken the program to places it's never been before," radio analyst Ted Schmitz said. Spack, 62-35 in his ISU career, returns a team of 48 letterwinners and 14 starters. Eight of those starters return on defense where the Redbirds feature All-Missouri Valley Football Conference First-Team cornerback Davontae Harris and second-team selection Alec Kocour. Transfer Jalen Banks (Vanderbilt) adds to an already impressive secondary. "Devontae Harris has really made a statement," Spack said after last fall's regular season ended. "If he's not the best (cornerback in the MVFC), he's in the conversation. He's physical. He's fast. He's smart. We lost him for three games. He got called for a questionable targeting penalty early against Indiana State. And then we didn't have him for two weeks after that (due to injury). We lost all three games. "We had issues on third down. We weren't able to play our coverages the way we wanted to (without Harris)." Dalton Keene, another all league second-teamer, anchors the defensive line. The Redbirds' biggest challenge is replacing all three starting linebackers. Offensively, the Redbirds are spearheaded by former Illinois high school stars Jake Kolbe (Naperville Central) and James Robinson (Rockford Lutheran). Kolbe, who came on strong last fall after a series of early injuries, returns for his second full season as the starting quarterback. The 6-foot-3, 205-pounder will have plenty of options to throw to in the passing game. Elusive Spencer Schnell and veteran Christian Gibbs are the Redbirds' top returning receivers. Noted Illinois recruiting guru Tim "Edgy Tim" O'Halloran raves about Kolbe, considering him the cream of the Redbirds' 2013 recruiting class. "Kolbe was a no-brainer out of Naperville Central," O'Halloran said. "He was a kid who could have played in the Mid-American Conference (of the FBS). Illinois State got on him early and offered him early. They got an early commitment from him." According to ESPN, Kolbe had offers from MAC members Central Michigan and Toldedo. While Illinois State lost leading rusher Jamal Towns (graduation), injury-plagued George Moreira (transfer) and talented DeMarco Corbin (left team) from its roster, the Redbirds still return a deep stable of running backs. Leading the way is James Robinson, the all-time leading rusher in Illinois prep history. "Look at what Robinson has done already (at the collegiate level)," O'Halloran said. "He did it his entire high school career. His on-field production is impressive. He's a kid that bigger schools thought was a little too short or a half second too slow. He's getting a chance and it's translating in his production." The Redbirds also added running back Ryan Williams, a transfer from Missouri. Former quarterback Hasan Muhammad-Rogers (Richards) is now listed at running back. The biggest question facing ISU is whether the Redbirds can rebuild an offensive line that must find four new starters. Junior Chad Kanugh is the lone returnee with starting experience. 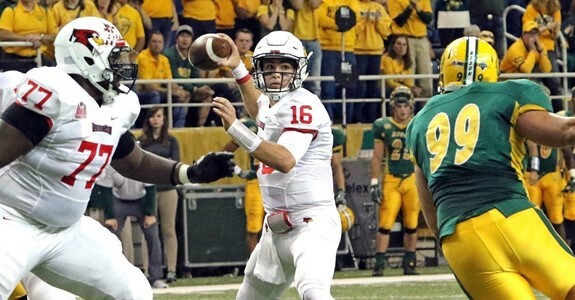 The Redbirds are also seeking improved production from their tight ends. "It was heavy toward offensive linemen and linemen period," Spack told Randy Reinhardt of the Bloomington Pantagraph about the Redbirds' latest recruiting class. "We've had some graduation. We have some young linemen in the program we're excited about, too. But we felt we needed to help out the depth." Spack has also been on record that ISU will likely bring in a transfer from FBS this summer to bolster the line. Illinois State's spring practice opens tomorrow and concludes with the annual showcase April 22 at Hancock Stadium.